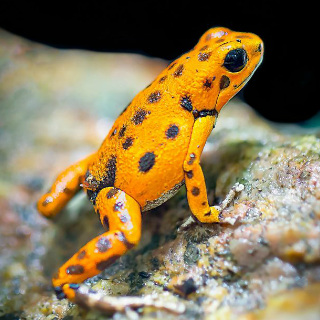 One of the most poisonous animals on Earth is the Poison Dart Frog. While only around 5cm long, the Poison Dart Frog has enough venom to kill 10 adult humans. Two micrograms of their toxin (an amount that would fit on the head of a pin) would be enough to kill a person. The indigenous people of South America used their toxin to poison the tips of their blow darts which would kill any animal or person it hit. However, when kept in captivity the poisonous nature of the frog completely disappears.